Does Mark Hamill now have third Minifigure? 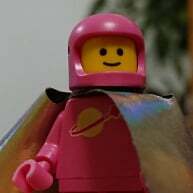 With the new Trickster minifigure coming out does that make him join the three timers club? 1. Luke Skywalker, yes no arguments there. 2. Joker? I don't know. Yes he voiced the Joker, but did we really get his version as a minifigure. There could be arguments made both ways. 90% of all Jokers basically look the same in minifigure form, the only Joker I know for sure is based of a person is the one in the UCS Tumbler. 3. Trickster, yes he both played him in real and voiced him in the new Lego movie. So by my count he only has two. Let the discussion(fight) begin. Yeah, most people only seem to count minifigures as a portrayal of an actor if they're plainly a portrayal of the character as played by that actor in a live-action work. If you start counting voice acting roles then Mark Hamill could arguably be said to have five LEGO depictions, since he voiced the Hero Factory characters Von Nebula and Black Phantom. 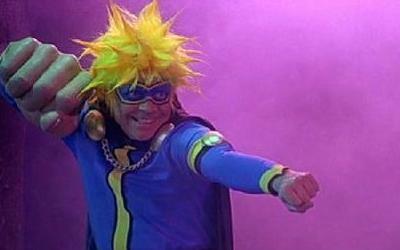 I'm fairly behind on the current Flash TV show and never saw the previous one, so I have no idea if Mark Hamill's Trickster in either of those works resembled the new minifigure, but as far as I know the minifigure is based on the character as he appeared in the comics. Don't follow Hero factory but if he voiced those characters then I would give him those two. It is my understanding that he voiced the Trickster in the new movie and the figure is also based on that. So by my count he has four figures based on his voice/real work. I still won't give him the Joker, because none of the figures are from a Batman the animated series set. If the figure is based on a cartoon and not his live action version, then I wouldn't give him credit for that minifigure. It's like saying Will Ferrell has a LEGO character designed after him in President Business (but he obviously doesn't). He voices a character. The character isn't the likeness of the actor. Next people will say R2-D2 should have credit for that actor that portrayed it, but I don't see that logically either. So I'd say Mark only has Luke still since that is directly based off of him. He's still the guy with the most total minifigures even with just Luke though, right? Is this just trying to make his record forever unbeatable? I don't think multiple versions of the same character count in this scenario. I.e. Mark Hamill has one char currently. As for Jokers and actors, it's an interesting concept. I think it's safe to say Heath Ledger has a minifigure because the tumbler is identified to be park of the Dark Knight trilogy. But what about Jack Nicholson? His movie version of the Joker looks a lot like #76013's version, but it's not officially named as such. I'm thinking no in that case. As far as I'm concerned he gets one for Luke. While there is a Hoth Luke, X-wing Luke.... that's still only one in my book. As for most figures he may hold the record, but where does that end? Yellow,flesh, lt. Gray hips? Of course, that second franchise has bumped him right up. Given how significant Star Wars has been to TLG and where it stands in the history of popular culture I wouldn't be surprised if it's those two way out in front forever more. @Shib you'll have to excuse me as its early and my brain isn't in gear yet, but that being said, is that a pic of Mark Hamill as 'Cocknocker' ? maybe they will do a kingsman set and have his character in that. @Shib funny for him maybe, not so much for Jay. Probably not the best example since it was an important plot point in the movie that President Business DID resemble Will Ferrell's portrayal of The Man Upstairs, so I have no doubts that the minifigure was at least partly modeled after him. Emmet is probably a better example, since he's designed to look utterly ordinary, rather than to look like a minifigure version of Chris Pratt. Once you get into live-action, things get a bit fuzzy. Discluding puppets or mo-cap characters (like Yoda or Gollum) is an easy step to take. But at what point does a character stop being the actor's likeness? Is Chewbacca a portrayal of Peter Mayhew? Perhaps not, since he's in a full costume. What about characters with extremely heavy makeup or prosthetic, though, like Ian McDiarmid as Emperor Palpatine? There's no doubt that his "likeness" is extremely unlike the character, even though that is ultimately his face under all that prosthetic. So does Chris Pratt wins for most minifigure characters at 3? ^Can't think of anyone with more. Doesn't Warwick Davis have four, or five if you include him as Yoda in Ep I. But wait, I don't think Doc Ock counts, because it wasn't an actual figure/set tied to Spiderman 2, as opposed to a generic Doc Ock (same argument as Mark Hamill and the Joker). ^ The 2004 Doc Ock minifigure is based on the movie, so it counts in my book. ^^ And Wald for Warwick Davis. If cartoon characters like Emmet count, Dan Castellaneta and Harry Shearer will win hands down. I could be wrong, but Clancy brown has no actual minifigure portrayals, but voices 5 charades that have mini figures: savage oppress, Krusty the krab, task master, dog pound and lex luthour (voice over) I'm sure this doesn't count, but still impressive to voice the characters of 5 minifigures. I think voices count if it is a unique character only voiced by that actor (Lego did include Emmet in their happy birthday post for Chris Pratt).